Save money on professional movers by hiring hourly laborers and renting your transportation. The percentage of people moving within the United States has dropped to historic lows, according to the most recent data available from the Census Bureau. However, the actual number of people moving is higher, and the cost to move has also gone up over time. It is possible that the relative cost increase has contributed to the decline in the overall percentage of people who are choosing to move. But consumers are also getting smarter in seeking alternatives to moving companies. Hybrid moving is a fairly new term used to quantify a more thoughtful process of moving that involves seeking out assistance to minimize the cost typically associated with hiring a moving company. According to Mike Glanz, founder and CEO of Hire a Helper, the first consideration is how to transport your items. Rental truck: Choosing a rental truck allows for a certain amount of freedom and control over the moving process. 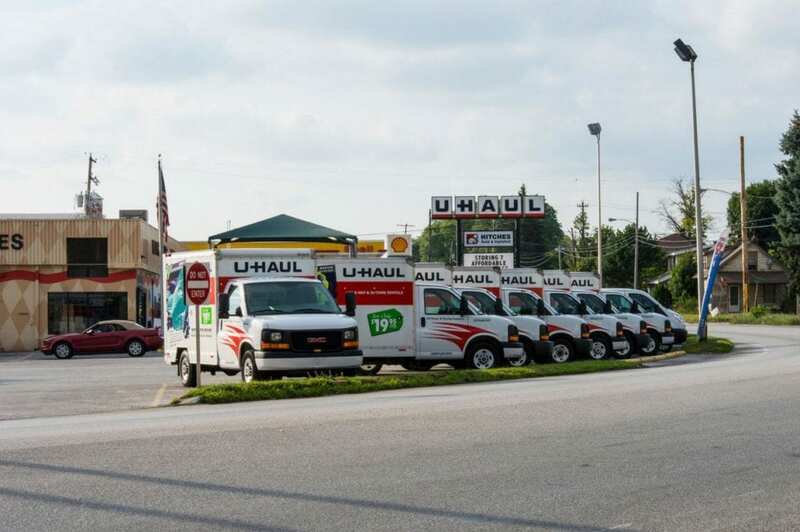 Though it requires more time and physical effort, the least expensive option is typically a moving truck rental. One-way and round-trip options are available, and it’s best to price both. Often returning the truck is significantly cheaper, if a bit more of a hassle. Storage container: A portable storage container – from services such as PackRat, Pods, and others – gives movers a large amount of space to pack their belongings themselves. The company drops off the container at the current location to be filled. Once belongings have been packed, the company returns to collect the container and drive it to the new destination. After it’s unloaded and unpacked at the new location, the company returns to pick it up. This process requires the person moving to pack and unpack possessions rather than relying on the pros. Freight truck: The final option is to rent space on a freight truck. The room within the freight container is partitioned so items from different customers stay separated. A professional driver then drives them to the desired location where they are unpacked by individuals sourced by the homeowner. One of the most substantial costs associated with moving is the fee charged for professional movers to come in and pack, load, unload, and unpack boxes. The key component in the hybrid moving method is in hiring hourly laborers to perform the work of moving packages from the home to the container in which they will be shipped at an hourly rate. If you’re doing the packing yourself, be sure your items are secure with MYMOVE’s packing guide. It is possible to hire people to also pack the items within the home into individual boxes and then move those boxes to the chosen form of transportation, but this can dramatically reduce the potential savings. The process can then be reversed once the belongings arrive at the new destination. Individual laborers can be retained to either move the boxes from the shipping container to inside the home or to assist in fully unpacking. Glanz stressed the importance of working with a company to supply labor that has a solid reputation. This can be assessed by checking with the Better Business Bureau and consumer review sites. When discussing arrangements, he says it’s important to ensure the company has a valid business license and carries appropriate liability insurance for their workers. Ali Wenzke, an experienced mover and author of The Art of Happy Moving, offered the wisdom she’s gained over the course of 10 moves in 11 years. Her first tip was to ensure you are not paying to move items that no longer are relevant to your life. By decluttering before moving, you’ll lower costs for boxes, packing tape, transportation, and labor. Get rid of your old stuff by selling it online or by consignment or donating it to a charitable organization. Remember to itemize the donations and have them verified by the organization to write them off at tax time. When calling for quotes on transportation, be willing to negotiate. Rental trucks can be substantially less expensive in suburban areas. Request a price match from a more conveniently located franchise or free supplies to earn your business. Finally, be sure to discuss the move with your auto and home insurance provider. Rental truck companies will often try to pressure movers into purchasing additional insurance that may cost hundreds of dollars. But your policy might already cover the contents of the move or damage to the truck, or your insurers might have a supplemental policy that is less expensive than the movers. Moving will never be a truly inexpensive or easy endeavor, but the emerging trend of hybrid moving has the potential to make it far less of a financial strain. Guess Who to Blame for the Decline in Moving?